Tetronix, ShadowKnight508, dalejr88rox and 4 others like this. Wacky Racers, Tetronix, Chandler Tyson and 8 others like this. Ceafus 88, dalejr88rox, matheus357 and 5 others like this. matheus357, joeykraus19, Chandler Tyson and 5 others like this. 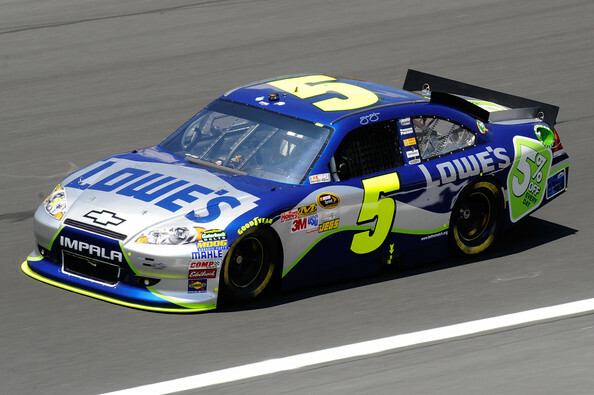 j.j_yeley, matheus357, UnfixingDuke24 and 7 others like this. 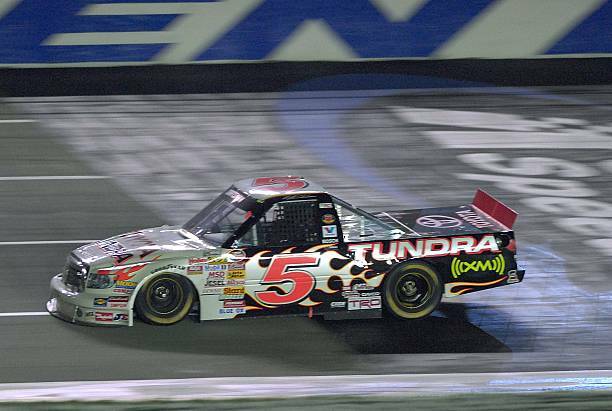 j.j_yeley, GoRickyGo, Reno62793 and 8 others like this. matheus357, UnfixingDuke24, joeykraus19 and 4 others like this. matheus357, UnfixingDuke24, joeykraus19 and 3 others like this. dalejr88rox, matheus357, ShadowKnight508 and 4 others like this. 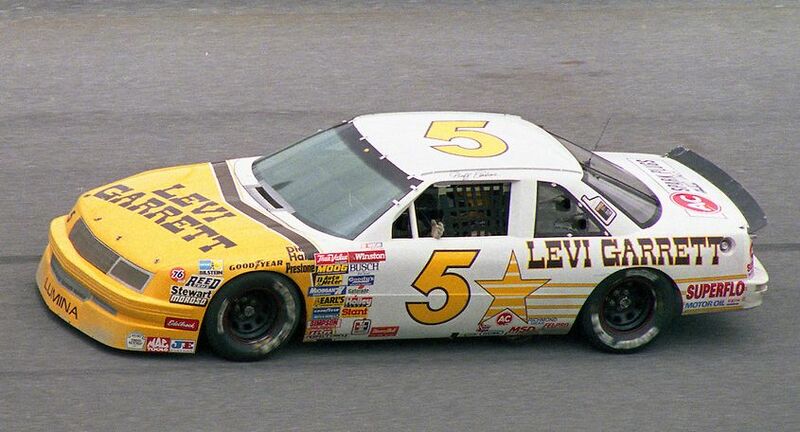 Geoff Bodine's 1989 #5 Levi Garrett Chevrolet Lumina. One of the most iconic paint schemes and Geoff won the 1986 Daytona 500.
j.j_yeley, matheus357, UnfixingDuke24 and 5 others like this. matheus357, UnfixingDuke24, ShadowKnight508 and 3 others like this. dalejr88rox, Virox6549, matheus357 and 1 other person like this. funny dude, I got to talk with him before the race and I asked why the front end was dirty before the race (you can't see it in the pic) and he said it's one of his only cars, they also renumbered it from 32 to 5 for the race. it was his first one since 2015. Virox6549, BrendonH12, Tetronix and 1 other person like this. j.j_yeley, GoRickyGo, dalejr88rox and 9 others like this. j.j_yeley, GoRickyGo, dalejr88rox and 8 others like this. Virox6549, BrendonH12, Tetronix and 5 others like this. 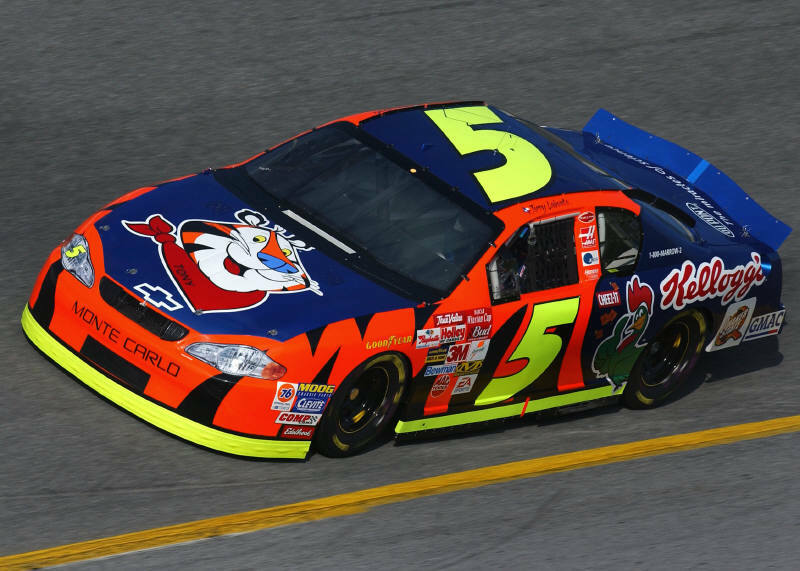 I low-key loved this scheme and wished they used it in later seasons, ngl. Reza Maulana, Virox6549, BrendonH12 and 5 others like this. MrDude68, Virox6549, BrendonH12 and 6 others like this. UnfixingDuke24, GoRickyGo, MrDude68 and 8 others like this.